Built in 1986 ,A Symbol of Purity, Beauty, and Worship. The grounds cover some 26 Acres. 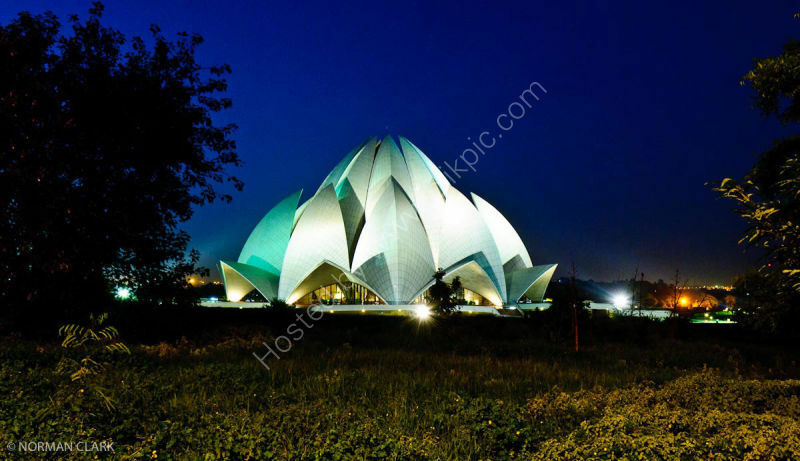 Lotus Temple is one of the remarkable architectures of Bahai faith. It is located at Kalkaji in New Delhi. The temple looks like a lotus flower and is made of marble, cement, dolomite and sand. The temple has no restrictions for visitors and is open to people from all religions. The place provides immaculate environment for meditation, peace and wisdom. The Bahai temple was completed in 1986. Since then the temple has received recognition from all over the world for its splendid architecture and design. Lotus Temple is among the most visited monuments in India. The credit for building this beautiful structure goes to the Persian architect Fariborz Sahba from Canada.